Product prices and availability are accurate as of 2019-04-16 11:12:06 EDT and are subject to change. Any price and availability information displayed on http://www.amazon.com/ at the time of purchase will apply to the purchase of this product. This is a Brand New Upgraded OEM Water Heater Gas Valve Thermostat Top Quality Upgraded OEM Replacement Part! Thermostat control The gas valve is a low voltage control (usually 24 VAC) that allow gas into the combustion chamber. 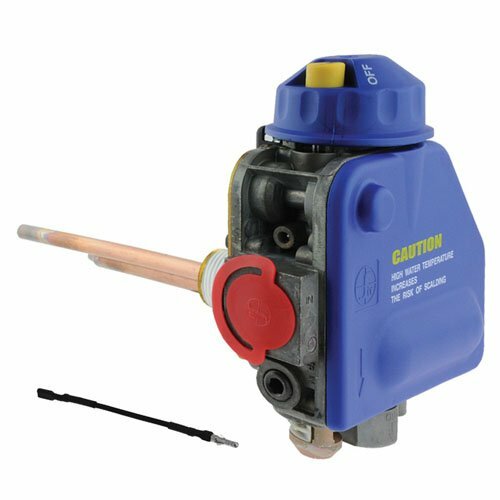 It is also an adjustable regulator that insures proper gas pressure for combustion. They have a manual shut off.